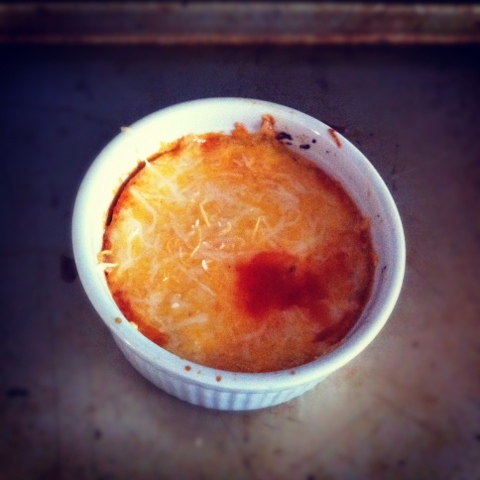 Baked eggs with salsa and cheese! I am obsessed with baked eggs right now! You can check out the recipe I used here. Baked eggs are super simple to make and taste delicious. Plus, you can change them up very easily, which gives them an A+ in my book! 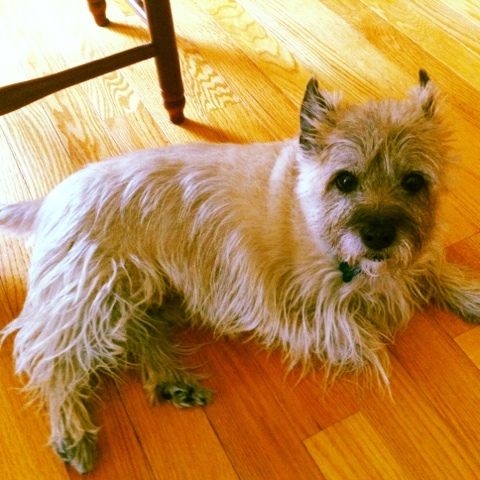 I just love my dog! We have become BFFs since I moved back home. I visited my friend Sarah last weekend. She works at Dismas, a transitional program for men who have been in prison. The farm has tons of animals. Luckily for me, the sheep had recently had little baby lambs. I had no idea that sheep could have little cow spots! 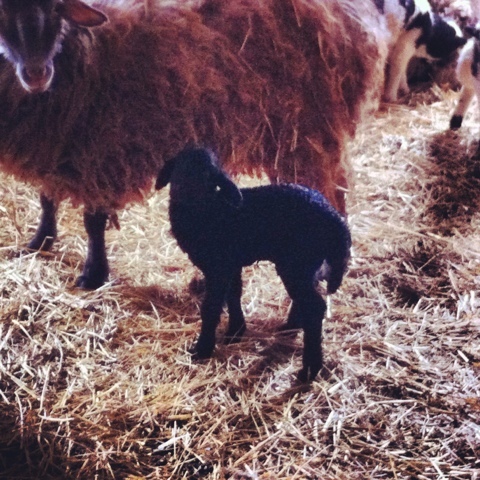 One of the lambs was a little baby black sheep. I’m making this post from my iPhone so I apologize if the formatting is weird! Ok, back to watching ANTM reruns and working on my resume!